Will you be ready when disaster strikes? Learn what it takes to respond to any crisis. Here are the Best Online Master’s in Homeland Security! Do you have a natural instinct to protect the people around you? Do you want a career in which you’ll potentially save tons of lives? A career in homeland security may be perfect for you! Those with an analytical mind, a natural curiosity, and a cool, calm, and collected attitude will really thrive in this fast-paced industry. You’ll need to anticipate both man-made and natural disasters and create innovative and safe ways to mitigate such risks. What is a Homeland Security degree? The United States Department of Homeland Security was founded in 2002, shortly after the 9/11 terrorist attacks. Since the creation of this department, a number of universities have created degree programs in the area of homeland security. These programs are designed to teach students how the nation prepares for potential risks and what to do if a man-made or natural disaster strikes. From securing our borders to protecting our airports and seaports, homeland security professionals are critical for our nation’s safety. Not only will you learn how to protect the nation’s citizens with this degree, you’ll also discover planning prevention methods that create sustainable safety and secure environments. It’s an important job with a lot of responsibility, but it also provides plenty of stability and opportunity. How much can you earn with a Homeland Security degree? The average pay for homeland security graduates varies greatly as there are a number of different employers within the industry. In fact, homeland security professionals work on land, in the air, and even at sea! Those who choose to work for the federal government will earn the highest salaries, starting at a base salary of $40,000 per year with the opportunity to move up quickly. Individuals who pursue employment in policymaking or other prestigious fields may also earn higher starting salaries. This field is expected to grow rapidly, with jobs in the federal sector growing the quickest – up to 17 percent within the next few years! What is required for a Homeland Security degree? Many of the below programs require applicants to have a bachelor’s degree. While you don’t necessarily need to have a background in law enforcement or security, applicants who do are preferred. Most GPA prerequisites for the below programs range from 2.5 to 3.0. Some of the programs require students to complete a capstone or final project equivalent in order to receive their degree. Many online master’s degrees on this list can be completed in just two years or less. What are the best Homeland Security degrees? 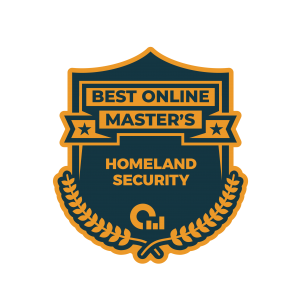 We have compiled a list of the 25 Best Online Master’s in Homeland Security Degrees. Our ranking system is first based on the quality of the program, as indicated by student engagement, and faculty credentials. This score includes student-to-faculty ratio, graduation rates, and faculty experience and training. 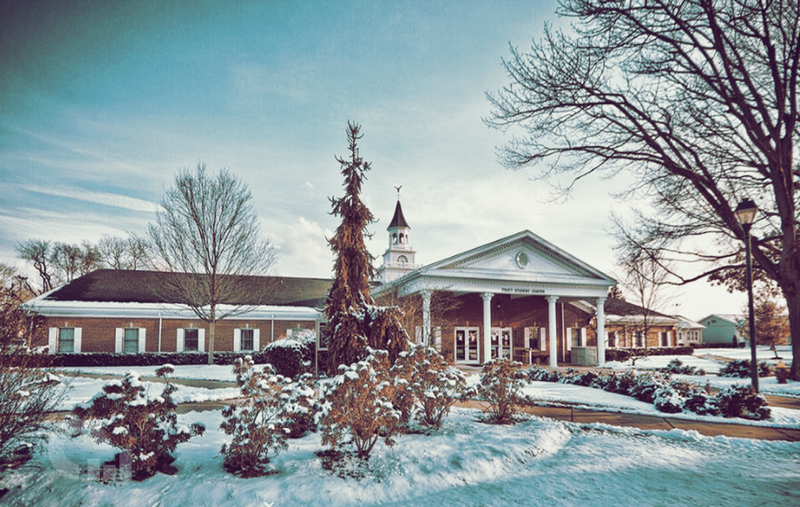 Pennsylvania State University–World Campus now offers a comprehensive 33-credit online Master of Professional Studies in Homeland Security. Students will learn the fundamentals of cyber security, including data breaches, phishing, cyber attacks, and malware. All Penn World Campus students, including distance learners, are expected to complete an internship. Arizona State University offers a 33-credit online Master of Arts in Emergency Management and Homeland Security. Offered through ASU’s College of Public Service and Community Solutions, each class is 7.5 weeks long and there are 11 classes in this program. All students will complete an applied project, allowing them to make direct and positive impacts in their home communities. The MA in Homeland Security at Northeastern offers four concentrations, including Geospatial Services for Homeland Security, Organization and Infrastructure Continuity, Port Security, and Emergency Management. Students will also have access to the university’s ALERT Center (Awareness and Localization of Explosives-Related Threats), a multi-university Department of Homeland Security Center of Excellence. Graduates will know how to examine all aspects of a disaster cycle and how to gather and analyze data. The Northwestern State University online Master of Science in Homeland Security is offered through the Department of Criminal Justice, History, and Social Sciences. Students may choose to complete a 42-credit thesis option or a 36-credit non-thesis option. Distance courses here involve a combination of online lectures, reading course content, and referring to textbooks. The Master of Arts in Homeland Security at American Public University is only 36-credits. You can choose from one of eight areas of concentration, including Cyber, Transportation Security, Criminal Justice, Intelligence Studies, and more. Online courses at APU are asynchronous, allowing you to work on your own time on scheduled assignments. Angelo State University’s College of Graduate Studies and Research offers an online Master of Science in Homeland Security degree. All students in this program will complete a variety of core Homeland Security courses, electives, and a comprehensive capstone course. This program is intended for working professionals in the fields of law enforcement, criminal justice, and emergency management. Pace University’s Dyson College of Arts and Sciences offers an online Master of Arts in Management for Public Safety and Homeland Security Professionals. This 36-credit program, which includes an optional master’s project or a comprehensive exam, can be completed in just two years. Required courses may include Public Sector Management, U.S. Constitution and Ethical Issues, and Public Health for HS Leaders. Monmouth University’s Master of Arts in Criminal Justice with a Homeland Security track combines both online and on-campus courses. Students in this 30-credit program will take 15-credits of criminal justice courses in a traditional classroom setting, as well as 15-credits of online coursework. Students may choose to pursue a thesis or a non-thesis degree track. The College of Social and Behavioral Sciences at Wilmington University now offers an online Master of Science in Homeland Security. This 33-credit program made up of eleven courses can be completed in as little as one year. This program requires completion of a capstone project consisting of a field practicum, research project or study and the submission of a final paper/portfolio. The Tulane School of Professional Advancement offers a Master of Professional Studies in Homeland Security completely online. This unique program is made up of ten courses and does not require a thesis. Required courses may include Populations Issues During Disasters, Public Health Law, and Psychological Aspects of Disasters. UMass Lowell’s Master of Arts Degree in Security Studies offers a concentration in Homeland Defense that can be completed entirely online. This 10-course, 30-credit master’s program offers courses during the Fall, Spring, and Summer semesters. Students have the flexibility to take one or more courses per semester. The Master’s in Emergency Management and Homeland Security at Arkansas Tech University is a 36-credit program that can be completed entirely online. All graduate students must either complete an oral defense of the completed thesis or a comprehensive examination to earn their degree. Other required courses may include Principles of Emergency Management and Research Design and Methods. Towson University’s MS degree in Integrated Homeland Security Management offers unique specializations in health preparedness, information assurance, and security policy. On top of completing a concentration, you’ll be required to take one course from each of the other two concentrations, making Towson’s degree distinctly cross-disciplinary. This completely online program is made up of 36-credit hours, including a three-credit capstone project. Through MC’s Administration of Justice department, students can earn an online Master of Social Science degree in Homeland Security. Though this degree is fully online, you’ll still have access to all the same resources as those on-campus, including comprehensive career advising services. Career opportunities for graduates include immigration and customs enforcement, transportation and security administration, and more! Saint Joseph’s University offers a 30-credit Master of Science degree in Criminal Justice with a concentration in Homeland Security that can be completed online. The 10-course curriculum covers causes and effects of terrorism from political, religious, and historical perspectives, the sociological outcomes of disasters on communities, and more. You can start the program at one of six times per year: January, March, May, July, August, or October. The Master of Science in Homeland Security and Emergency Management degree at National University requires students to complete 54 quarter units of graduate work. This 12-course curriculum includes a capstone requirement. Other required classes may include Domestic Terrorism, Global Lessons in Security, and Managing Information Security. The Master of Science in Homeland Security and Emergency Management at Purdue University is made up of 55-credit hours. Courses include Planning and Operations in Crisis and Emergency Management, and Crisis and Emergency Management Fundamentals. Graduates will be prepared for careers in information analysis, emergency management, hazard mitigation, and more. Sam Houston’s 36-credit MS in Homeland Security Studies allows students to choose between two tracks. You’ll either be required to complete an internship or you can elect to complete more coursework. Required core courses may include Information and Intel Management, Critical Infrastructure Protection, and Law and Ethics in Homeland Security. Excelsior College’s online Master of Science in Criminal Justice degree now offers a 30-credit Homeland Security and Emergency Management concentration. All graduate students must complete a three-credit capstone course at the end of the program. Along the way, you’ll receive personalized guidance from Excelsior’s top academic advisors. The College of Professional Studies at George Washington University now offers an online Master of Professional Studies in Homeland Security. This 36 credit-hour master’s degree program is intended for individuals who are involved in the public or private safety sectors. It’s possible to complete this degree in about 16 months. Eastern Kentucky University offers a completely online 36-credit Master’s in Safety, Security, and Emergency Management with a focus in Homeland Security. Concentration courses may include Critical Infrastructure Protection, Intelligence for Homeland Security, and Hazards and Threats to Homeland Security. Students can earn additional degree credits for completed work experiences and industry training programs. Liberty University offers a 36-credit Master of Science in Criminal Justice with a concentration in Homeland Security. You will be able to choose between a thesis and non-thesis track. There are no specific required login times during the week, making this program flexible for working professionals. Through the Watson School Of Public Service, Thomas Edison State University offers an online 36-credit Master of Science in Homeland Security program. The curriculum focuses on domestic and global issues in security and developing competencies in theory, analysis, practice, and policy making. Additionally, all graduate students must complete a Capstone in Public Service. 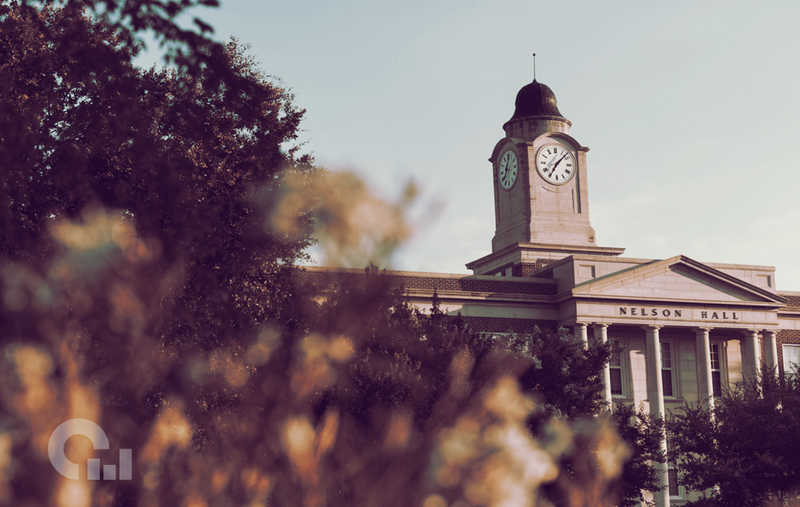 Through VCU’s Wilder School of Government and Public Affairs, you can earn an online 36-credit Master of Arts in Homeland Security and Emergency Preparedness. The curriculum focuses on international and domestic security and preparedness issues related to terrorist threats and natural disasters. Additionally, all graduate students must take a Capstone Seminar. East Carolina University’s Department of Political Science offers an online MS in Security Studies degree that can be paired a concentration in Homeland Security. This 36-credit program requires the completion of a security core, the homeland security elective base, and an internship or practicum. Students with more than one year of experience in the industry can request to opt out of the internship.